We have developed a backbone of the Machine Learning platform for financial quantitative analytics. The core problem of existing manual analytics modelling methods is that they take a long time to build a model, while the data remains relevant only for 30 days or even less. Thus said, building a model should happen fast in order for it to remain relevant for long. This is a huge market with tremendous daily transactions activity. We developed a backend part of the platform using neural network that stores lots of the model components for financial quantitative analytics. The user is able to quickly compose a model from blocks using a GUI, and the backend creates the specified model within the platform. Using our model constructor helps create, adjust and manage quantitative analytics models on the fly. 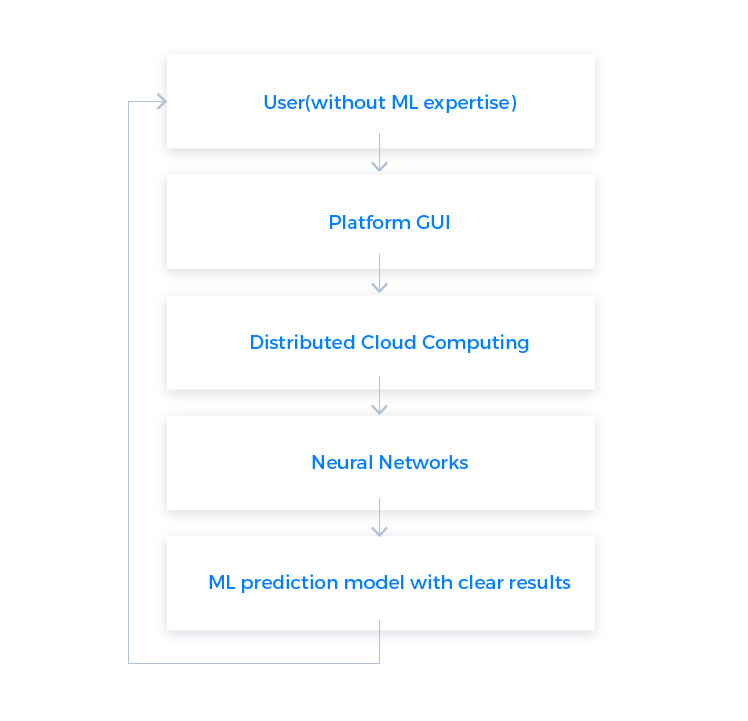 Our platform helps people without any ML knowledge tap into the ML power. This brings in the competitive edge and helps make impactful decisions faster, which is especially important in the financial analytics world. Copyright ©2018 Spaceport. All rights reserved.